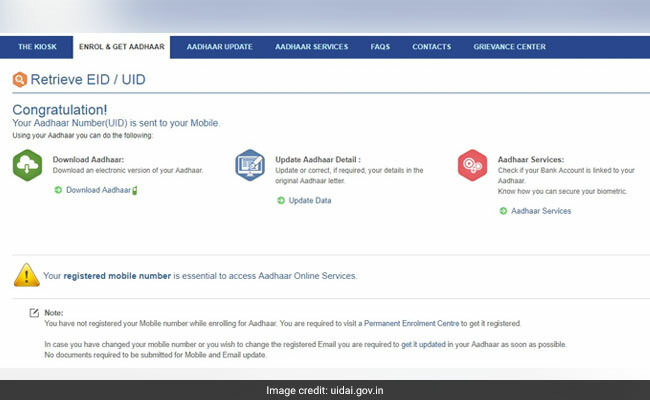 If you have misplaced your Aadhaar card or can't locate the Aadhaar enrolment ID (EID), you can actually request the UIDAI to send this information on your registered mobile number. Have you misplaced your Aadhaar card or lost the 12-digit UID or Unique Identity Number? 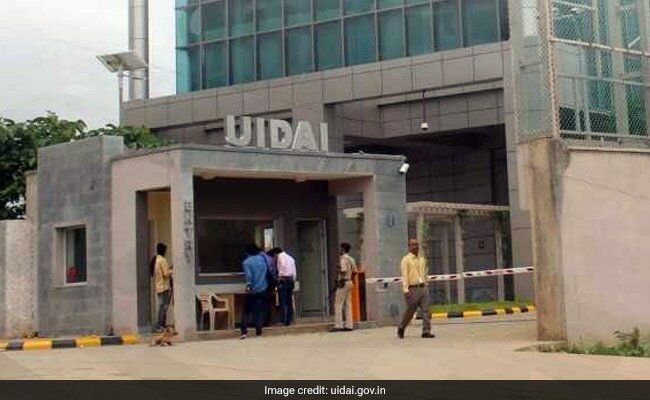 The UIDAI or Unique Identification Authority of India has provided a tool on its portal - uidai.gov.in - which enables holders of Aadhaar card or Aadhaar applicants to retrieve their UID or EID (enrolment ID) on their registered mobile number. This was said by the UIDAI on microblogging site Twitter. 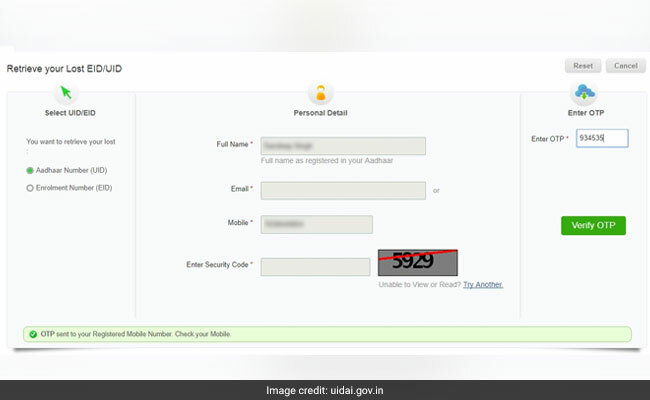 If you have misplaced your Aadhaar card or need the Aadhaar number or Unique Identification Number (UID), or can't locate the Aadhaar enrolment ID (EID), you can actually request the UIDAI to send the information on your registered mobile number. 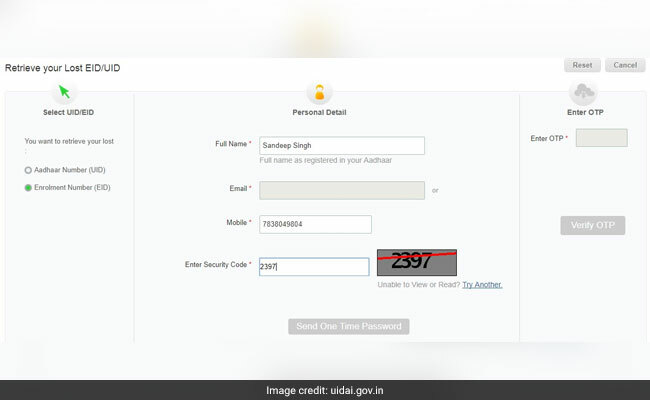 This is the phone number fed into the UIDAI database while applying for Aadhaar card or updated through the UIDAI portal after issuance of UID/Aadhaar card. This 'Retrieve Lost UID/EID' tool can be used to retrieve your Aadhaar number (UID) as well as Aadhaar enrolment ID (EID). You can also access the 'Retrieve Lost UID/EID' tool by clicking here. On the next page, make sure 'Aadhaar Number' is selected on the left side of the page for receiving your Aadhaar card number on mobile. Fill in the personal details as specified against the required fields. You need to give your name, the mobile number or email address registered with Aadhaar and the security code as displayed on the form. 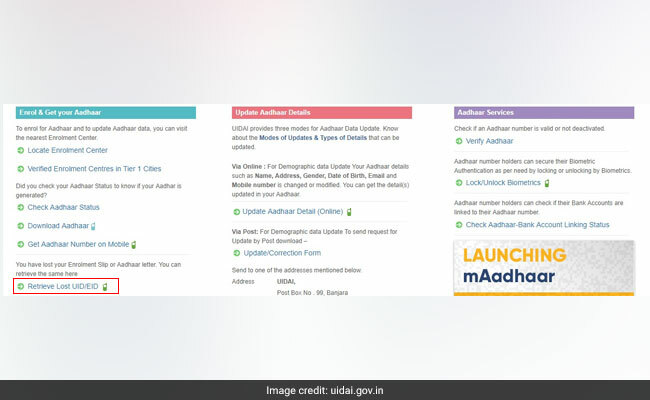 "Your registered Mobile Number / Email which you had provided at the time of enrolment is mandatory to retrieve your lost UID / EID," according to the UIDAI website. After entering these details, click on 'Send One Time Password' at the bottom of the form to proceed. 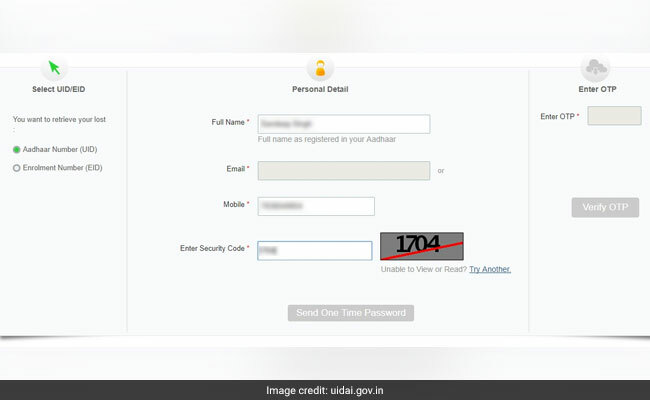 Upon a successful entry, the UIDAI facility sends an OTP or one-time password to the registered mobile number or email address. Enter this OTP in the given field on the right hand side of the form and click on 'Verify OTP'. At the end of a successful entry, the UIDAI tool displays the message: "Congratulation! Your Aadhaar Number (UID) is sent to your Mobile." Check your mobile number for accessing your Aadhaar number. Users also get an option of downloading the Aadhaar card in the digital form. The 'Receive Your Lost UID/EID' tool also enables users to retrieve their Aadhaar enrolment number, also known as EID or enrolment ID. This facility is for Aadhaar applicants who are still awaiting their Aadhaar card. Select 'Enrolment Number (EID)' option on the left side of the tool, fill in the required details such as name, phone number/email and the OTP. At the end of a successful submission, the UIDAI tool sends the enrolment ID to the user.